Nathaniel, Lydia and Joseph entered our life near the end of Miriam’s adoption. We learned of Nathaniel, Lydia and Joseph through a friend and contacted the agency to learn more about them to see if we could help find a family that would be interested in adopting the three children. We were told by the adoption agency, Tree of Life Adoptions, that they only had a short time to place the children. They had been waiting for a family for a long time, but Tree of Life had not had any success in finding them a forever family. They only had a few weeks left before the children were being split up. There was a family who was willing to take only Lydia (Varvara), but the y were not willing to take all three of the siblings. After more prayer, we decided to call Tree of Life and continue the adoption process. We did not feel comfortable doing our home study until after our daughter Miriam was home fr om India. We were expecting the news of being cleared for travel any day. We were so excited about bringing Miriam home. We had not adopted in almost four years and looked forward to having a new addition to our family. At night, Joseph would get up and roam the house. All night long, Jay and I would take turns getting up and putting him back in bed. He seemed to only stay there long enough for us to fall back asleep. We had never experienced anything like this before. Finally, we called our social worker at Lutheran Social Services. She told us that she had seen this before and that it was sort of like what happens to children when they know they are going to Disney World in the morning. They get so excited that they cannot sleep. He was extremely over-stimulated. She suggested that we talk to our pediatrician and have him suggest a medication that would help Joseph to sleep. Our pediatrician suggested Benedryl and it worked! Joseph started sleeping through the night. We only needed to use the medicine for week and then he started to fall asleep without it. It has not been a problem ever since. and enjoys being hugged. After only three weeks at home, she spoke only English. After only 4 months at home, she was reading in English. She seemed to absorb the language and she does very well in school. Because we home school, we are able to let the children move at their own pace. Lydia is a quick learner and works hard to stay ahead in school. She started playing the piano only 1 ½ months after she came home. Her teacher was surprised at how quickly she picked it up. 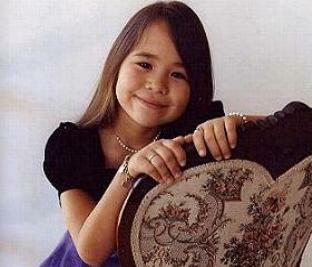 She played in her first recital only a few short months after she started piano lessons. She has learned how to be a little lady and enjoys helping me cook. She takes ballet and tap lessons and has managed to do well in the same class as Sarah. 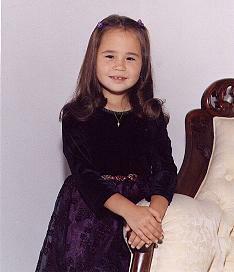 I can’t express to you how different she is now than the little girl we met in Russia. 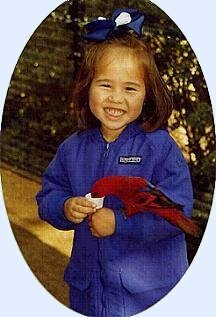 As I look back, I wonder how many people change their minds when faced with such a difficult child. There were times when I wondered if we were doing the right thing in adopting Lydia. I was so worried that she would never straighten up. Today, I cannot imagine missing the blessing of being Lydia’s mother. 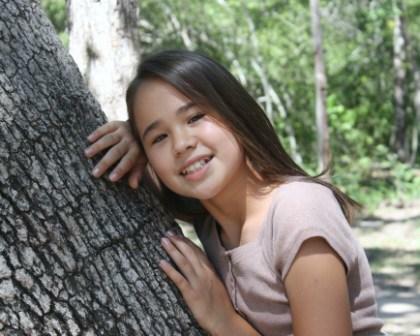 Lydia has grown into a beautiful young lady. 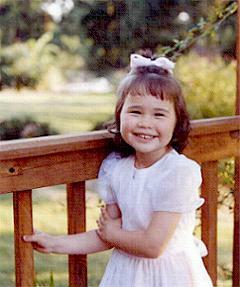 She danced with the Center Stage Production Ballet Company until she was 12 years old. During her time with them, she danced several ballets including, “Peter and the Wolf,” “Cracked Nuts,” “A Christmas Carol,” “Wizard of Oz,” “Barn Dance,” “Jungle Book,” and “Carnival of the Animals.” She also danced on a competitive dance team. Lydia and her brother, Nathaniel, tried out for the Lil’ Wranglers, a country and western swing dance team patterned after the Aggie Wranglers. For two years, Lydia and Nathaniel performed with the Lil’ Wranglers. They even had the o pportunity to be the half time entertainment during the San Antonio Spurs and Aggie Men’s Basketball games. It was very exciting! 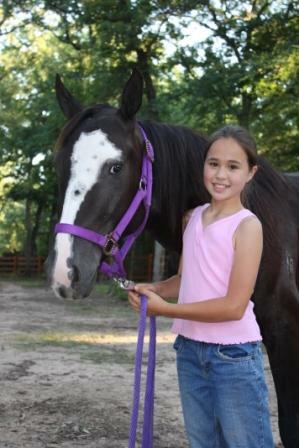 In the fall of 2009, Lydia chose to stop dancing and focus more on her show calves and her horse, “Bella.” Lydia really enjoys her time at the ranch and rides “Bella” every chance she gets. 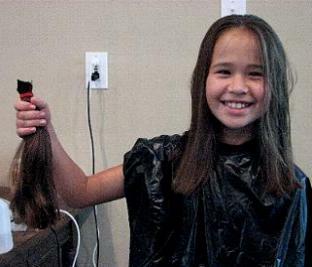 In 2008, Lydia had 11 inches of her hair cut off so that she could send it to Locks of Love to help children who have cancer or alopecia areata, a disease that causes children to have no hair and which has no cure. 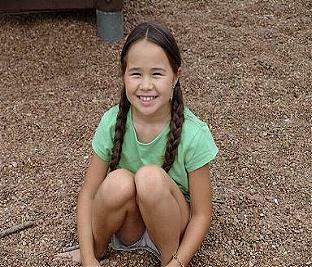 Locks of Love will take Lydia's hair and make a prosthetic for a child in need. 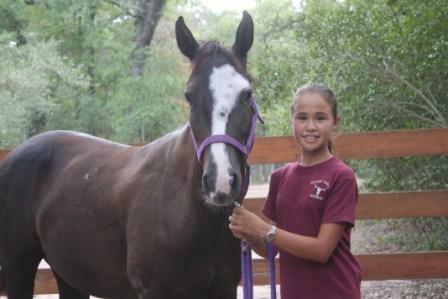 Lydia made the Texas Longhorn Breeders of Tomorrow Hall of Fame during the year 2007-2008. The following year, she made it again, but moved up from 8th to 4th. 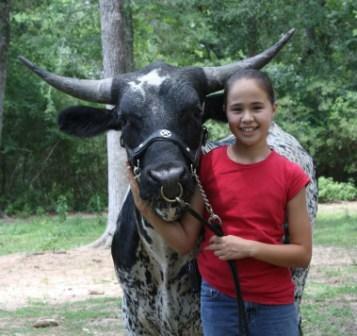 Lydia was elected and served as the 2008-2009 Intermediate Director of the Texas Longhorn Breeders of Tomorrow. 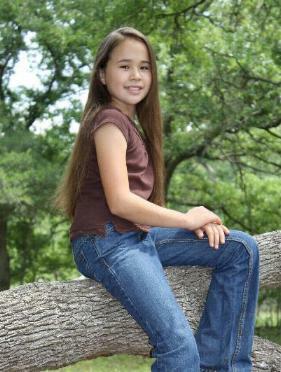 The following year, she ran for the position of Teen Director and was voted into that position for 2009-2010. Each year, Lydia has competed in the Gold Merit project. 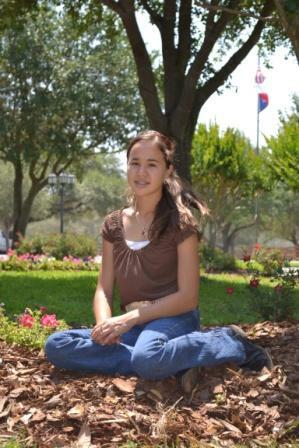 At the 2009 TLBT World Show, Lydia won second place in the Gold Merit Project. Lydia has also been active in showing in the Autobahn Youth Tour. 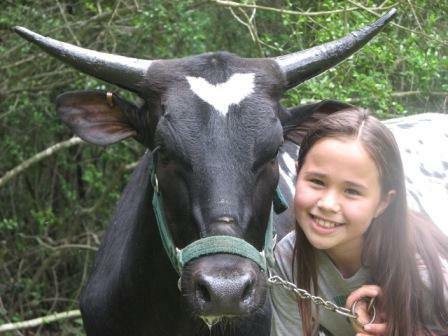 In 2009, Lydia won first place All-Around Exhibitor for excellence in the show ring, in the speech and essay contests, and in judging cattle. It was a great accomplishment and we are very proud of her.